Welcome to Swell CofE Primary School rated 'good' by Ofsted November 2016. 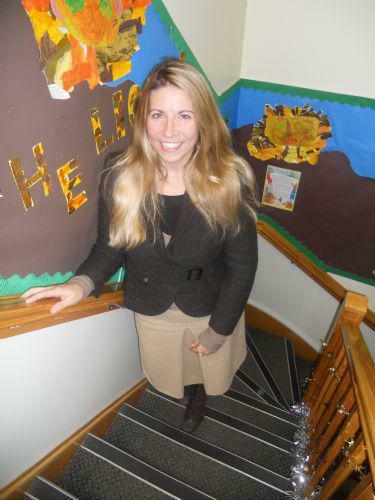 Swell is one of three schools of which I am Executive Headteacher within The North Cotswold Schools Federation (NCSF). The NCSF was officially formed on 01st September 2016. Since this time, the federation has grown from strength to strength providing wonderful opportunities across all of our schools for all of our children and working together to enhance pupil opportunities where appropriate. I feel immensely fortunate to have a wonderful staff team to work with; some of whom are joining us for the first time this year and others who have been working within the three schools for some time. We have a broad array of skills which we use to share best practice across NCSF. As NCSF we are able to offer ‘the best of both worlds.' Individually, we are able to maintain all of the uniqueness of a small Church school with nurturing environments, but within NCSF also offer the benefits of greater resources, broader ranging staff with varying skills and a further wealth of opportunities for the children to enjoy together. I lead the three schools moving between the sites supported by my Senior Leaders when I am not on site. Together we aim to provide a safe, enjoyable and stimulating environment, where children are motivated to become independent learners and thinkers with high expectations. We recognise that your child is unique and we will do our best to ensure that your child makes the most of their abilities. As you read through these pages you will gain some insight into why we believe Swell CofE Primary School is a special place. However, visiting this website is no substitute for visiting the school, where you will experience the atmosphere and be able to observe the activities in which the children are involved. I very much look forward to meeting you all and continuing to lead Swell CofE Primary School into its next phase of development. If you are interested in visiting Swell CofE Primary School then please do not hesitate to get in contact with the office to either book an appointment with myself or our Senior Leader Mrs. Tracy Pullee. I’m very excited and proud to welcome everyone to our wonderful school. Set in the beautiful surroundings of the Cotswolds, Swell C of E School has a nurturing family feel, where our pupils are challenged and encouraged to gain the most from their education, supported and encouraged in order to achieve the very best that they can. Our job, in partnership with parents, is to build the foundations for a successful education, to enable each child to discover the joy of learning, to help them to fulfil every aspect of their potential and to encourage their growth into valuable citizens, ready to play their part in the world and their community. As well as leading this school, I also lead English and RE across the Federation. Being a part of a team of Senior Leaders within the Federation brings a vast amount of skills and passion to Swell, which is evident in every aspect of school life. My experience in running profitable businesses and leading previous schools to successfully raising standards and achievements has been invaluable in helping me to support Swell school through a good Ofsted inspection and a rapid increase in KS1 and KS2 results which has continued with excellent outcomes this year. I believe every child is special and our school, with it's small classes and it's ability to offer dedicated and individual attention to the children's aspirations, make this a unique and amazing experience for all. Community is at the heart of school life and the close links we have with parents helps us to thoroughly support children to have an amazing educational experience and be the best they can be. Please come and see what large benefits our wonderfully, small school has to offer.